Involvement: Graphic designer. Used existing logo. 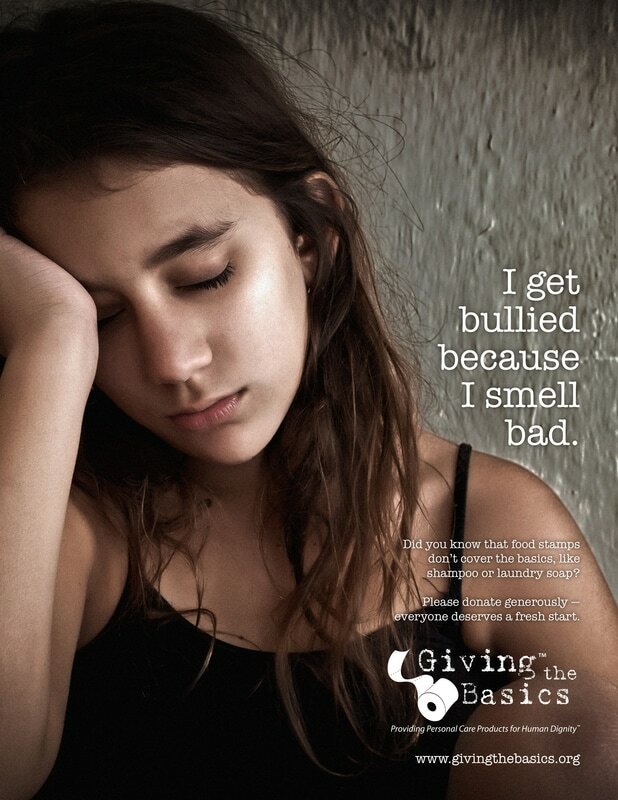 ​What began as a study in a graduate-level marketing class became two ads that doubled as posters. 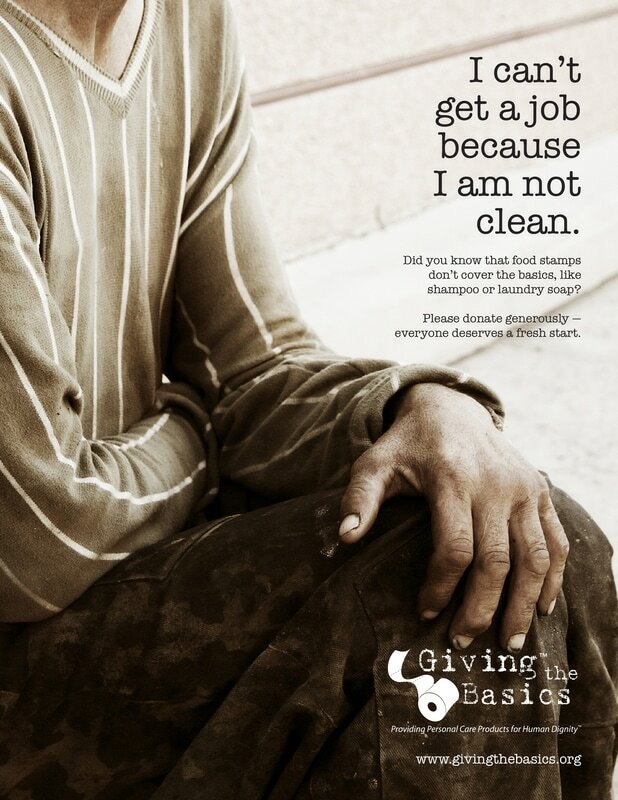 Giving the Basics provides to people in need things that food stamps don't cover, like shampoo, laundry soap, or feminine hygiene products. ​This work was done entirely pro bono.